Just as its name implies, a Cotswold house hotel was a residential home for a family that was then converted into a commercial hotel for travellers. It is a favourite accommodation for travellers who are willing to shell out a few pounds more than the typical bed-and-breakfast for the comforts of home in a hotel. We must point out that, in the Cotswold, the regulations on constructing new buildings are stringent because the local governments want to preserve the spectacular countryside landscapes, ancient castles and historical buildings of England’s Area of Outstanding Natural Beauty. Thus, many centuries-old homes are converted into modern hotels to provide accommodations to the millions of tourists streaming into the area. The number of rooms in a house hotel can vary from 2 to 12 depending on the original area of the house. Owners strive to preserve the original structure, appearance and atmosphere of the house while outfitting it with appropriate modern facilities and amenities. The result is a blend of the best of two worlds, namely, English country living and English modern lifestyle. Who can resist such an alluring combination? None, as any visitor to a Cotswold house hotel can attest to. The Jessop Town House Hotel is located at the charming town of Tewkesbury. It has been refurbished to provide the best amenities and facilities for its guests. Breakfast is served daily until 11AM while its spacious ensuite rooms have flat panel televisions, high-speed Internet accessed and work desk with modem point, among other amenities. The Manor House Hotel is probably the best Cotswolds house hotel judging from its numerous recognitions from the hospitality industry, of which the latest is as one of three finalists in the Small Hotel of the Year category for the 2011 South West Tourism Excellence Awards. Each of the rooms here are furnished with a distinctive character coupled with modern amenities like luxurious beds, flat-screen televisions, and direct dial telephones. A stunning Cotswolds House Hotel is a Jacobean mansion in Bibury - the house dates back to the 16th century and is set in 6 acres of rolling Cotswolds. The river Coln runs through the grounds and is an easy stroll to the centre of Bibury village. The 16th century Cotswolds house hotel is filled with traditional period features.Bedrooms are welcoming with crisp white linen sheets and beautifully decorated with antiques. An ideal location to explore Cirencester and Cheltenham. Dial House Hotel dates back to 1698 but has been tastefully refurbished into a comfortable Cotswolds House Hotel. 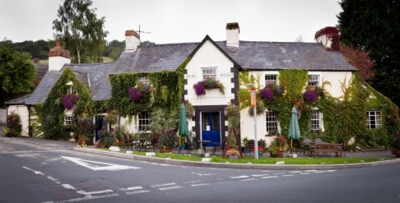 Set in idyllic surroundings it has won awards for exemplary service and delicious food. A lovely house hotel to relax in after a day spent exploring Bourton-on-the-water and the surrounding villages-all enticing. No matter which Cotswolds house hotel you choose, you are assured of the comforts of a second home coupled with the efficiency of a world-class hotel. Now, that’s we call travelling in style! Book here with Viator Tours and enjoy the picturesque Cotswolds. 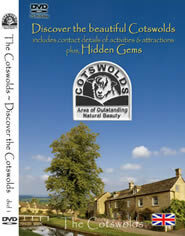 ______________________This book is very entertaining and gives one rare insights in Cotswolds Towns and villages. ______________________ COMBINED HOTELS searches multiple Hotel reservations websites simultaneously to help you find the lowest rate instantly-on any Hotel.Type in Cotswolds Hotels and all the Hotels,B&B's,self catering cottages and Hostel accomodation will be listed-at the best price.You can then make your reservation here-secure,safe and hassle free. ______________________ We all have our favourite gadgets when travelling-mine is the Kindle;it is light and stores hundreds of books-handy for those long flights.